[dit artikel bestaat nog niet in het Nederlands] Patenting plant material has been an ever increasing trend since the early 2000s. Today, many staple crops have been patented which concerns plant breeders, environmentalists, and food security experts that understand the threat that this poses for the future of food production. 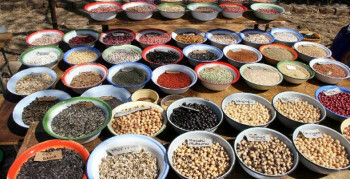 The Open Source Seed Initiative, also known as OSSI, is one organization hoping to curtail this growing trend. OSSI’s platform allows U.S. breeders to pledge a commitment that the seeds they breed will remain available for other breeders to use in the future. Dozens of breeders and seed companies have committed to OSSI since it was founded in 2014. Seed patenting not only occurs with GMOs, but it can also be found amongst many crops including vegetable or grain seeds bred for both organic or conventional farming. The open source movement is not specifically targeting genetically modified crops, emphasizes Jack Kloppenburg, a University of Wisconsin Madison professor emeritus and OSSI founder. Plant breeders rely on plant diversity in order to find the traits they are looking for, and patents are rapidly shrinking the available material which is so critical for breeding new varieties. In the face of oncoming climate change, this lack of available diversity is a real threat to food security because of the uncertainty of future climate patterns. Additionally, Frank Morton, a plant breeder and OSSI founder argues that a world with less intellectual property would increase competition and thus encourage more active breeding. Whilst the the open-source movement in the U.S. seems to be most advances at the moment, groups in many other countries are following suit. Examples are the Centre for Sustainable Agriculture in India and Agrecol in Germany. In Europe also the European Commission is trying to stop the patenting of plants and plant material. – Report of the presentation by Willy Douma from Hivos during Reclaim the Seeds 2017 in Nijmegen (in Dutch). – Page from Hivos about Open Source Seed Systems. 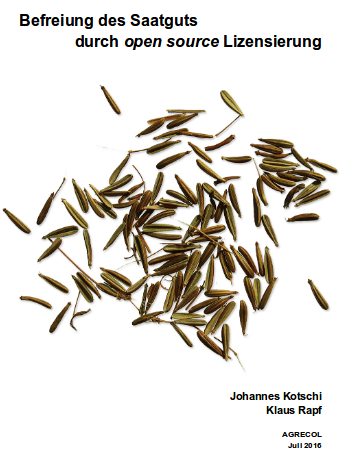 – ‘Liberating seeds with an Open Source Seed Licence‘, brochure by Agrecol. 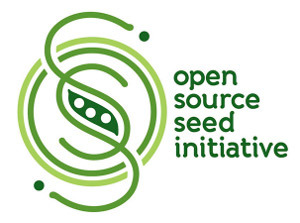 – Website of the Open Source Seed Initiative. – article ‘Plant Breeders Release First ‘Open Source Seeds’‘.